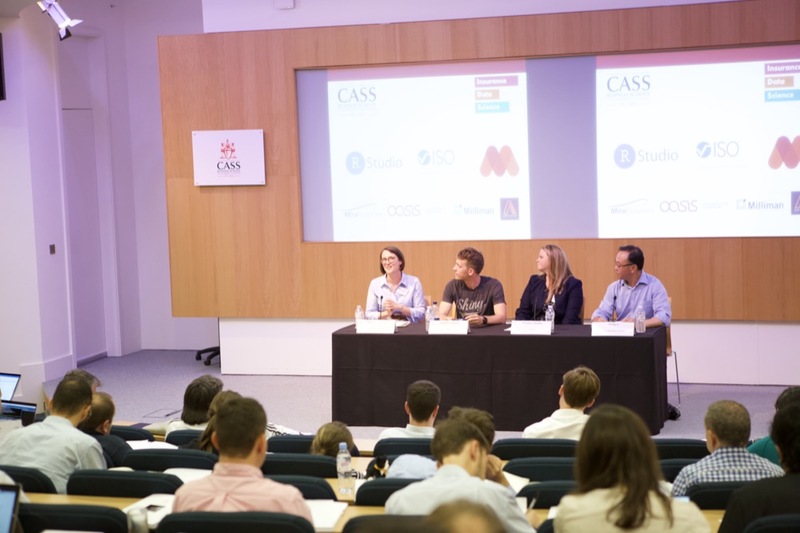 The first Insurance Data Science event was held at Cass Business School last week, 16 - 17 July 2018. The conference followed on from five iterations of the R in Insurance events, which have the aim of bringing together practitioners and academics together to discuss and exchange ideas and needs in the sector. Expanding the remit from R in Insurance to Insurance Data Science has also attracted talks on Python and Tensorflow. The keynote by Eric Novik focused on the use of Stan for Bayesian decision making. While the split of speakers from industry and academia was equal, the attendees where predominately from the insurance industry. 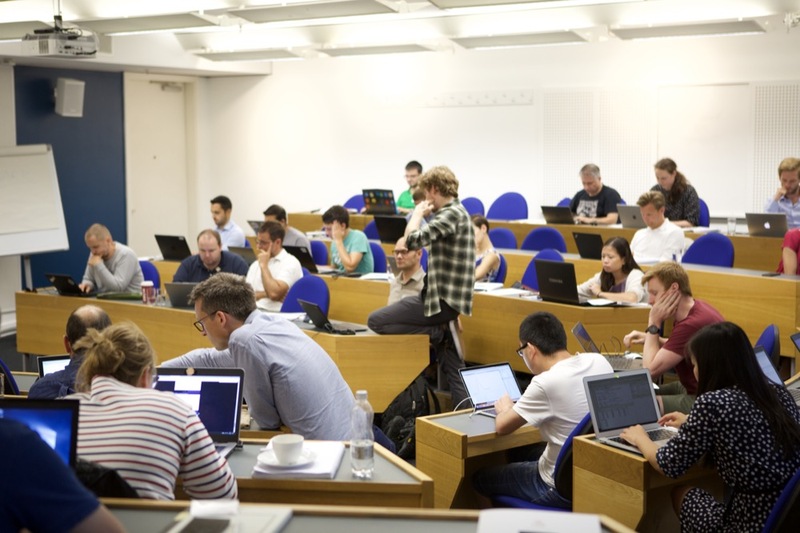 The programme included talks on statistical methods, actuarial pricing and capital modelling, the use of machine learning, cyber and catastrophe risk modelling, data workflow management and decision making. An industry panel with Ruth Thomson (Mango Solutions), Hadrien Dykiel (RStudio) and Kristen Dardia (Verisk), chaired by Prof Feng Li (Information Management at Cass Business School) discussed the impact of the digital transformation in the insurance industry. On the following day the Stan in Insurance Workshop offered an introduction to cutting-edge techniques in multi-level regression modelling, with hands-on insurance applications. We were delighted to have had experts from industry and academia leading the workshop; Eric Novik (Generable), Mick Cooney (Agrippa Data Consulting), Jake Morris (ArgoGlobal) and Paul-Christian Bürkner (University of Münster). The coffee breaks and conference dinner at Ironmongers’ Hall offered fantastic networking opportunities. The presentations from this year’s event are accessible online. The 2nd Insurance Data Science conference will take place at ETH Zurich, 14 June 2019. Further announcement will be published on https://insurancedatascience.org. If you would like to get/ stay in touch, please email us: [email protected]. We are grateful to our sponsors RStudio, Mango Solutions, Verisk, Mirai Solutions, Oasis, Milliman, and Agrippa Data Consulting. Without their generous support, holding this conference would not have been possible. Furthermore, we thank the Cass Faculty Administration team, who have worked tirelessly to make this conference a success.